We all know the stereotype. The dog chases the cat, ready to make kitty its next meal. Or the cat tries everything to torment or outwit an innocent dog. These stereotypes are usually found in old cartoons, but the belief that dogs and cats can’t get along is prevalent among many pet owners. Because of this, some pet owners who like both cats and dogs believe that they have to make a choice when they head to the shelter. I’m here to tell you that’s wrong! You can own both a canine and a feline, and you can have them around each other. They don’t even have to be enemies who tolerate each other, but instead best friends! Before I tell you why you can have a cat and dog under the same roof, let’s figure out why the two are stereotypically shown as enemies. Like some stereotypes, this belief does have some truth behind it. Cats and dogs can show animosity towards each other if not trained properly. Sometimes, it’s just because of a miscommunication. Your dog likes to play with other animals by chasing. The dog thinks chasing a cat is all fun and games, but the cat thinks it’s about to be eaten! Usually, that’s not the case (although dogs do have prey drive from when their ancestors had to chase and eat small things to survive.) If your dog’s a herding breed, it may instinctively chase a cat because it believes its job is to herd kitty like she’s a sheep! Your cat, thinking the big dog is out to kill her, will become fearful of the lovable scamp, and could end up hurting herself while being chased. Meanwhile, a cat plays in a different way. It may paw at or pounce on the dog. If the dog’s trying to sleep, or is fearful of sudden movements, it may become scared, or attack back if it thinks it’s in danger. Not all dogs are created equal. Some dog breeds are cat friendly, while some dog breeds tend to chase cats. Dogs built for hunting, such as hounds and terriers may not be so cat friendly. That isn’t to say it’s impossible for them to get along with cats, but if you own a dog of that breed and want to bring a cat into the family, you may want to think twice (or at least prepare for a strict and potentially long training process). Meanwhile, dog breeds that are cat friendly tend to be smaller types. This does make sense; a small cat will be less intimidated by a dog that’s its size, while the dog won’t be scared of something that can’t crawl under its legs. Pomeranians, chihuahuas and pugs are just a few great cat-friendly breeds. Some bigger breeds work nicely as well, like the classic Golden Retriever. 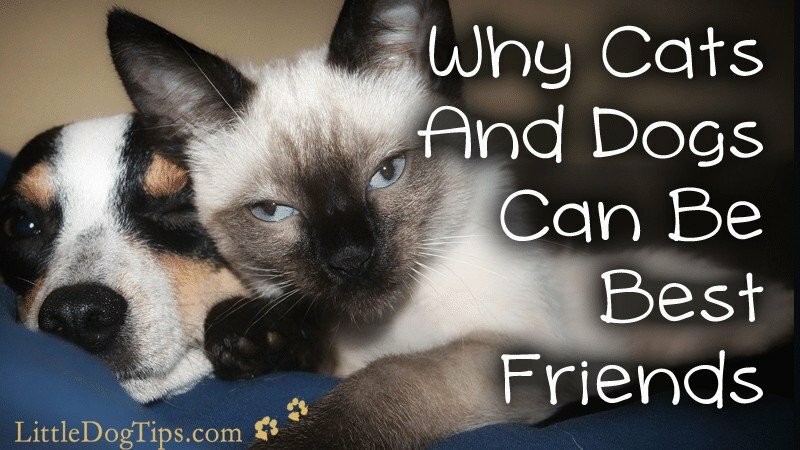 This isn’t saying that cats and dogs can’t be friends; instead, I’m explaining the reason why cats and dogs tend to be seen as enemies. If you’re bringing a dog and a cat together, you need to do it carefully, and introduce your pets slowly enough so they become best friends. In other words, don’t let the cat and dog meet each other the second you bring one of them home. Instead, put them in separate rooms, and alternate rooms each day. This will allow the animals to get used to each other’s scent, since both animals rely on smell. After a few days, it’s time to introduce cat and dog. Put them in a room they’re comfortable with, and supervise them as they check each other out. If your dog and cat love each other, great! If not, you may want to keep them separate for a little while longer and try again. You’ll be surprised at how easy it is for the two to get along if you do it right. Reward your pets whenever their behavior is good. Give them a treat for being calm together. Separate your pets the moment they show signs of tension – get familiar with dog body language and cat body language. Your aim is to avoid allowing fights to happen, and you can do this by keeping your animals apart before violence can occur. If a fight does break out, stop it immediately. Fights can lead to fatal injuries, so using a loud noise or a blast of water might be necessary to immediately end the squabble. Use these techniques sparingly. While they are not part of positive behavior management, and can make fear and aggression worse, they may be the only way to prevent a death. Usually, the cat is in more danger. As such, allow the cat a safe place to escape by sectioning off your house with baby gates and installing shelves that the cat can climb on when needed. Keep introductions slow and gradual. Do not force your animals to spend time together – just encourage them to stay calm in the same room. Cats need more meat, while dogs are more omnivorous. As such, their foods tend to meet different nutritional needs. A dog eating a meaty cat dish may cause it to gain weight, while a cat eating dog kibble could cause it to choke, and it may become malnourished! Schedule different feeding times, and make sure the cat is fed in a place where the dog can’t reach. If the dog eats the cat’s food (and vice versa) on occasion, it’s no big deal, but don’t make it a habit. Enjoy Being a Cat and Dog Parent! As long as you follow these rules, your cat and dog are likely to be best friends. Once they’re together, make sure to take lots of funny pictures and videos of the two’s antics. Some of the funniest animal videos tend to be of dogs and cats, so let’s see what you can do! Show the world that cats and dogs, contrary to old belief, can get along. Emily Parker grew up with dogs and now lives with her two cats, Louis and Gus. She loves both species and can’t wait to convince her boyfriend to bring a dog home, too! 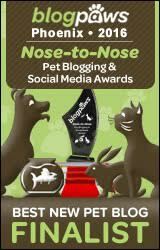 She currently spends much of her time writing science- and experience-based how-to articles and recommending the best products for cats over at her website, Catological.com. What a great post. We introduced the Goldens to our cat a little at a time and it has worked out well. They definitely tolerate each other very well and tend to nap together from time to time! I agree. When dogs and cats get along, it reminds me that I can get along with everyone different than myself. Great post – so much has to do with how an animal is socialized and raised. Gradually building awareness and respect are great building blocks to introducing cats and dogs (and having a house of peace)! Great post! 🙂 The Lapdogs don’t have any kitty friends, but they have some who come and visit their yard. We’ve always had both cats and (a) dog at the same time and luckily there have never been any issues they couldn’t overcome when getting along. Patience and understanding, giving both of them their space when in the beginning goes a long way. Now they are good friends and share beds together. This is great advice, I had followed most of these tips as well when I introduced my new Husky puppy to my senior cat. I found that teaching my pup the Leave It command was very effective in getting to the point where they could be together without my dog chasing her, wanting to “play” with her. It took weeks of training but it was so worth it! My dog loved our cat so much and when she passed our dog was super upset. I’ve found most Chihuahua’s are cat friendly, I’ve fostered a few of them and they never chased our cat. Pet introductions is one of the most overlooked issues between cats and dogs (or cats-to-cats and dogs-to-dogs). Thanks for posting this information and reminding folks what’s needed. I absolutely agree about dogs and cats getting along. We have always had both. Both of our dogs have been on the shy side and pretty much have let the cats be boss. As you point out, the food is an issue – as both our dogs had a fondness for cat food we have to be careful and keep the food up high. When we adopted Theo, an adult Puggle, we had to sign a waiver because he was supposed to be cat aggressive. He is small, so I knew that I wasn’t taking a big risk with my cat’s safety. He is very clever and learned that the cat was part of the family right away. I wouldn’t say they are best friends, but on cold days, Theo will snuggle up with the cat or one of the other dogs. I currently have three cats but haven’t had a dog for some time. I have been thinking about adding one to the family. Thanks for the great tips. I grew up with dogs and have had cats most of my adult life. I’ve never had the two together. I am sharing this on Twitter right now because it is so important. Thanks! I’m a trainer and found myself helping with dog-cat introductions as part of a first lesson. Lucky for me, I found :Wysong – canine/feline kibble. A very high protein small size.kibble that I’ve had 100% acceptance from both dogs and cats. Most sessions like that end with dog and cat sitting on either side of the owner who is alternately telling them how good they are and using the same kibble for both. These are great tips. I love seeing cat and dogs friendships. All 4 of my dogs love to chase cats. I’m not sure if they would be able to live in harmony with them but if I ever considering it, now II know what to do. We haven’t got a dog, but my cats and bird generally get along quite well. when we first got the bird, one of the cats tried to sit on him every time he irritated her, It was pretty ‘ funny though..
Its great you have shared this nice article.. I really enjoyed your writing. I have two cats and they always try to kill each other but when the sleeping that is the funniest because gigi always sleeps on top of chika. it is so funny! Wow – I love this article, very well-written! I too believe that dogs and cats can co-exist peacefully. Thanks for providing this great advice! Wow, great article. I’m showing this to all of my friends with pets! They always wonder if these two can mix. Well, I guess we now know the answer. This is one of those issues I have seen both sides of; and is definitely dependent on both the individual cat and dog. My first attempt ever was when I had a cat (Alley) and brought a Beagle (Rambo) into the household. I did it the old fashioned way, with a baby gate across the bedroom entrance and the dog in the bedroom. They could see each other, and interact, but still had separate space. That only took two days or so before they decided to be equals but still kept their own areas. And they were fine for years until the cat died. I’ve had cats come to live with me with other dogs. Older cats tend not to take too kindly to energetic dogs or puppies. And pregnant cats will dispense with all pleasantries if a dog comes near. You also have to watch that kittens under two months old are kept out of reach of your dog; especially if the dog is curious about new things. I’ve had issues where the dog accidentally crushed kittens. I’ve had a cat take on a Chihuahua and get cornered on top of a chair. I’ve had other cats that became best buddies with dogs, sharing meals and such. My current crew (three cats and a dog) has one cat who tags along with the dog everywhere and even sleeps with the dog and me at night. That cats brother, no way in hell. Yet they both grew up around the same dog from birth. it all depends on the cat and the dog. Great tips! My dog and cat are always fighting each other. Thank for useful sharing ! I took in my Father’s 3 year old Cat when he passed. My Dad was not the. Best pet owner and the Feline was EXTREMELY NEEDY !! Well the problem was I’d gotten a chihuahua puppy about a month before. When I first introduced them the cat wanted to kill the dog it actually tried. Even if I just had the puppy on my lap the cat would make sneak attacks it was extremely jealous. So I had to make sure the first thing I did when I came home was greet the cat before the dog and give the cat more attention than the dog for a while then slowly the cat would just swing at the puppy and just hit it on the head but not with her claws out. The friendship of dog and cat represent that they can live harmony. Well, interesting post. Good to know that these two canines can live under the same roof. I have a number of friends who own both cats and dogs and I never really found them facing any problems. It is true that we have misconceptions probably because of the influence of Tom and Jerry but, hey, in the end, they made peace too. Cheers. Yeah! Most of the time we watch that dog attack the cat and it seems to us like enemies. To tell the truth I didn’t think like you before. It may happen that dog like chasing to other animal but other animals never think it as a game because of they afraid of dogs and always try to flee away. But I agree with you some dog breeds are cat-friendly and they can live together under the same roof. I like your post, it’s so informative and unique. I will share it. 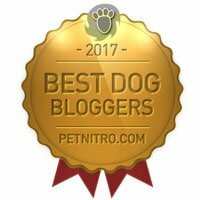 We are accepting guest post on petdogplanet.com. If you interested to share your experience on our blog please visit our site. My Frenchie is going to meet my grandpa’s cat pretty soon! I’m so curious to see how they are together! She’s super high energy so I don’t think there will be any problems lol. She’s not going to be in her home so I don’t think she’d get territorial. Hey, It’s really good to see two canine lives together. The technique you provided to keep a balance it’s really surprising. After having gone through your blog, I have come to know a lot of information which is very useful to me. Thanks. I had no idea Dogs think it’s all games and fun when they chase Cats. I actually thought they just hate Cats! Love the tips you share on how to introduce a dog to a Cat.. 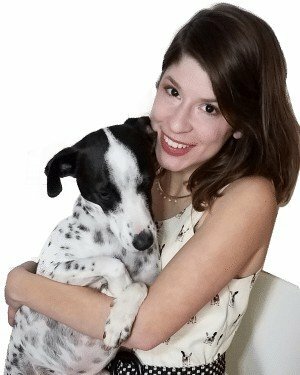 Although I’m more of a Cat person this article will be very helpful for those Cat parents who want a Dog! You nailed it here. These are pretty much most of the steps we took when intorducing our sausage dog to the two cats that were pretty sure they owned the house. A bumpy couple of weeks, but being proactive minimized the stress and made for a smooth future together. One of my cats even snuggles up with my dog sometimes too now which is super cute! I have two dogs, both the same size, who only get along because they are under the same roof. We have had cats and dogs in the past who got along fine together. As long as the cat feels they have a safe way to excuse themselves from a tense situation, there aren’t usually any issues. Thanks for sharing this post. I am very interested in this topic. I would like to share my opinion on this. Within the following paragraphs I’m going to attempt to offer you a “fowl’s eye” view of what signs to search for in your canine which may require a visit to the vet for its well being’s sake.